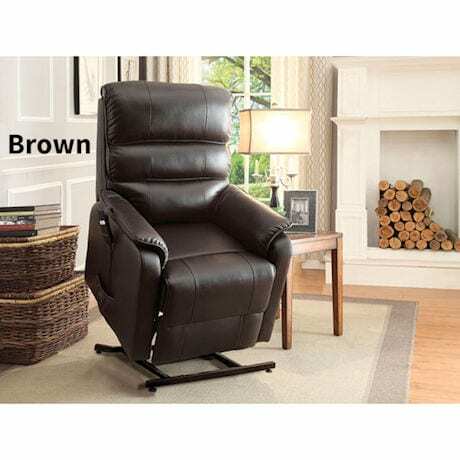 Power Lift Chairs Help You to Your Feet and Recline too! 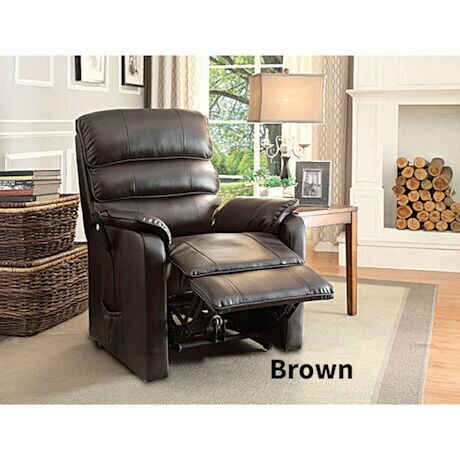 With the push of a button, these remote controlled Power Lift Chairs comfortably lift you to a standing position. 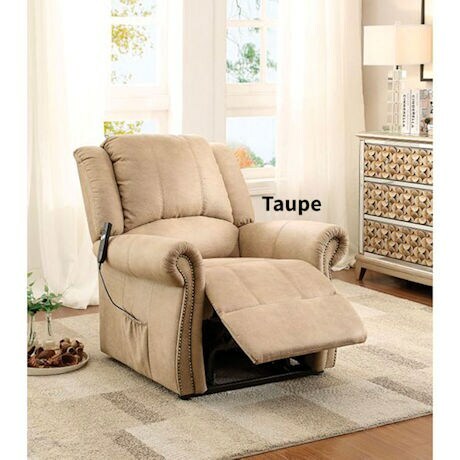 When seated, use the remote control to ease the chair into a relining position. 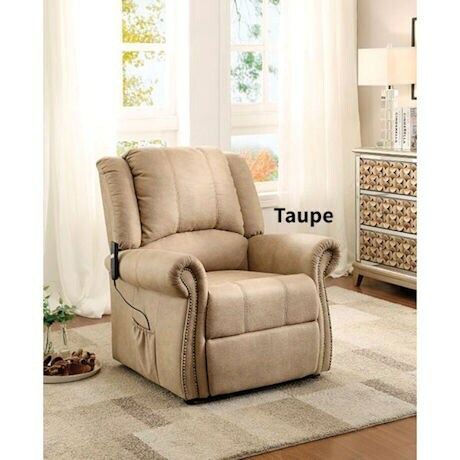 Taupe and Chenille chairs feature durable but soft, polyester fabric. 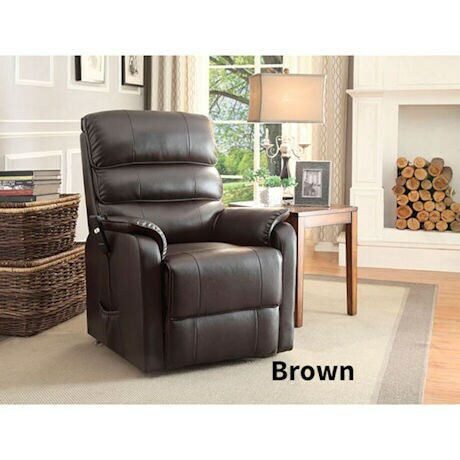 The Brown chair is covered with luxurious bonded leather. 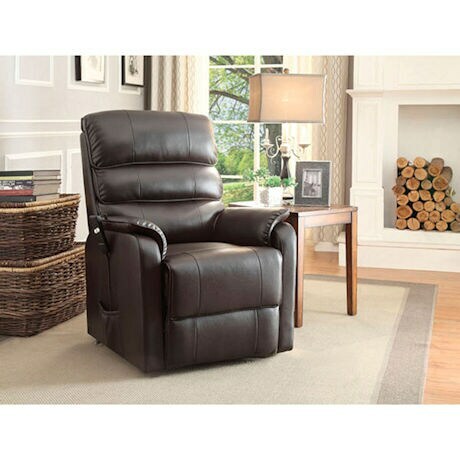 Durable construction ensures that this will be your new favorite chair for years to come. 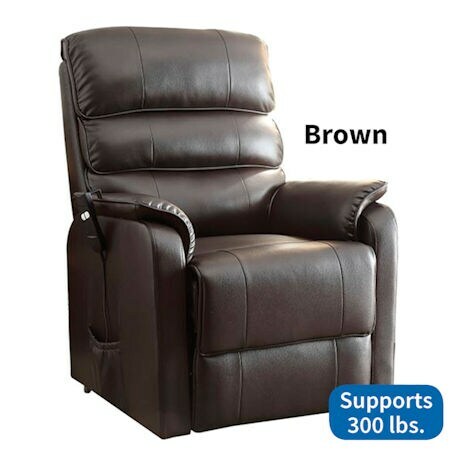 Each supports up to 300lbs. UL Listed. 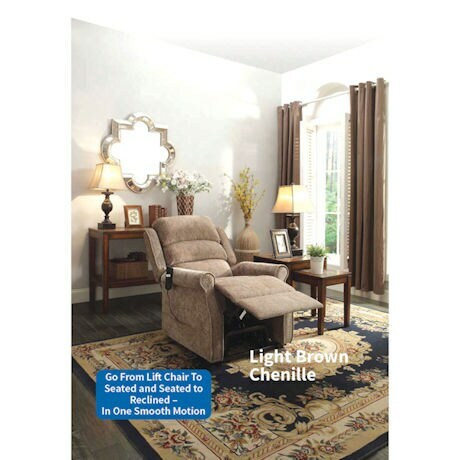 Available in Taupe, Brown or Light Brown Chenille. Seat is 16" wide. 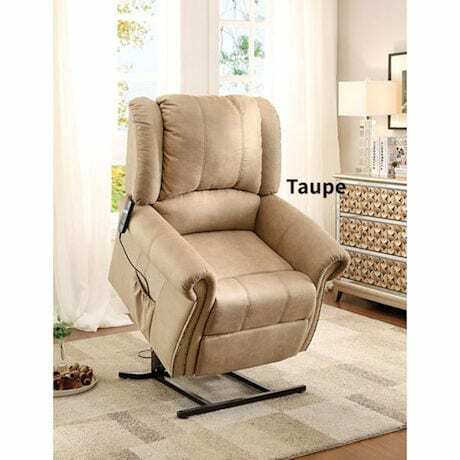 Chair needs to be 21" from wall to fully recline. Item can only be shipped within the Continental US.